Kelly’s Dance Studio was founded in 1980 by its owner Mr Keith Kelly. Keith is a Fully Qualified Fellow with the International Dance Teachers Association (IDTA), which is the largest organisation of its kind and is recognised by the Department of Education and Science. Keith has been dancing all of his life and is qualified to teach in all areas of dance. He is a specialist in the art and understanding of Ballroom and Latin American dancing; he is also one of the world’s leading technicians and is highly regarded for his top competitive training. Keith has taught all around the world and still travels to teach, coach and examine today. Kelly’s is a family run business and has been so since it was founded. All Staff/Teachers are C.R.B. checked. Here at Kelly’s we have classes to suit people of all ages and standards, from highly ranked open competitors to completely new social beginners. 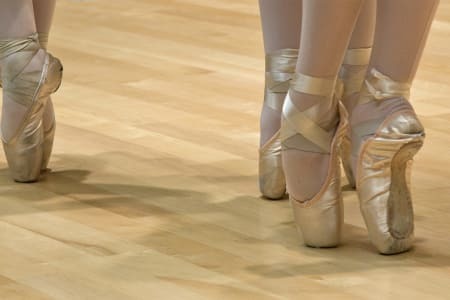 So if you would like to learn to dance better, feel better or even just to stop treading on your partner’s toes, then Kelly’s is the place for you. We are open 7 days a week and have a members licensed bar. Keith, his Staff and everyone at Kelly’s are waiting to welcome you. So pick up the phone give us a call, or e-mail us. Kelly's Dance is not currently an approved Obby partner. For the full list of our Dance classes please click here. If you are Kelly's Dance and would like to become an approved Obby partner, please click here.